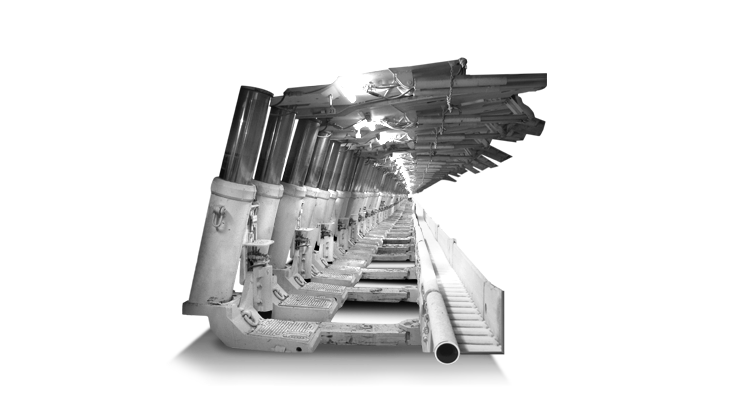 Dependable conveyors to maximise productivity and keep your operation moving. 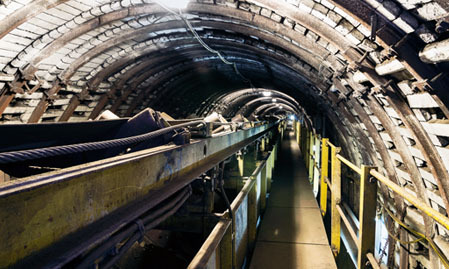 We realise conveyors are a critical part of your operation; to maintain maximum productivity of a longwall, the conveyor system must keep pace with the face output. 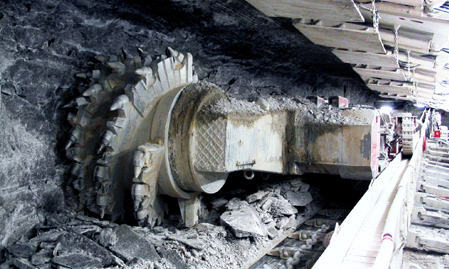 For this reason all of our conveyor motors are built to the same high standards as our cutting equipment with high grade insulation and a robust frame design so you can depend on them to operate in even the toughest conditions. 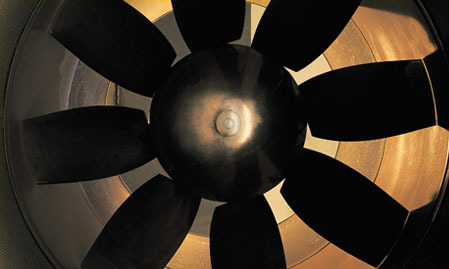 Water cooled, fan cooled and force ventilated motors are available at a range of voltages. We supply motors for use with variable speed drives giving you control and increasing energy efficiency. 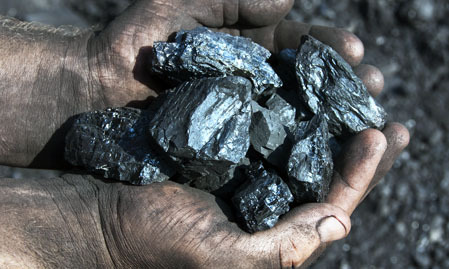 Our conveyor motors are custom designed to suit the application. 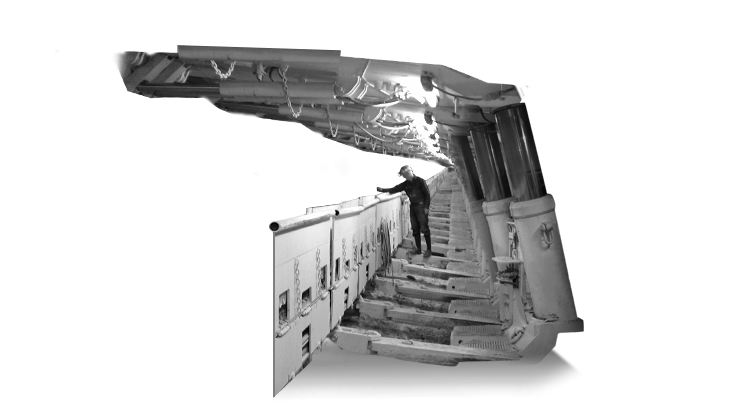 The terminal chamber can be located in different positions to optimise access and location. 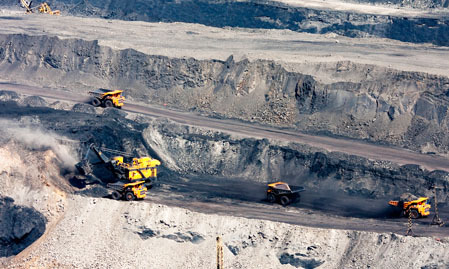 Whether the conveyor is flameproof or in a safe area, all of our motors are rugged and resilient suitable for the harshest environment. 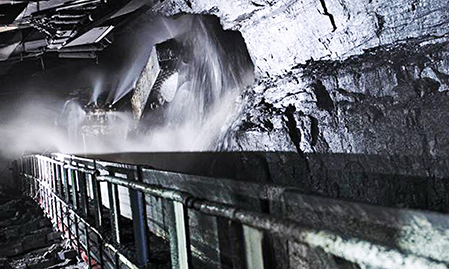 We understand the need for water management on the longwall and offer various configurations to minimise water usage. Armour face conveyor (AFC) motors have to cope with sudden large loads and need to be able to pull away from standing even when fully loaded. We tailor the electrical characteristics of the motor to suit the rest of the drive equipment being used whether it is a fluid fill coupling or a mechanical clutch. 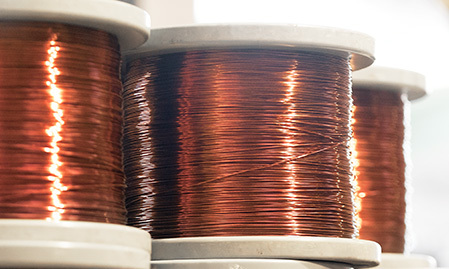 We are the only company to supply 10kV and 11kV AFC motors removing the need for expensive transformers and giving you the power you need at the face. 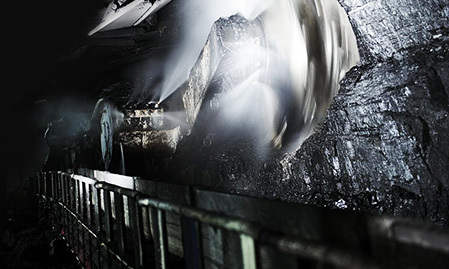 In addition to traditional AFCs we can supply motors for secondary conveyors as used when using top coal caving (TCC) where the motors are often more tightly constrained by the space availability. We supply beam stage loader (BSL) motors which can be designed to suit any longwall height, even low seam applications. With thermal monitoring equipment installed and your choice of remote termination our machines can be used with a range of communications protocols such as CANBUS. 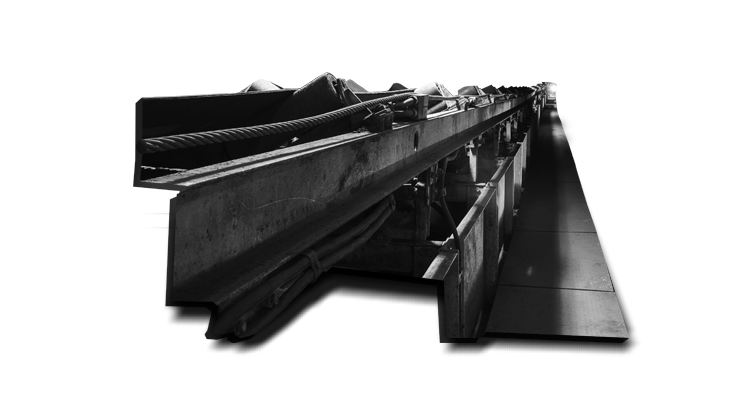 As well as conventional direct online starting, our belt conveyor motors can be specially designed for use with variable speed drives to withstand the voltage spikes and harmonics often associated with this equipment. We can offer force ventilated units with a separately driven fan to maintain a constant level of cooling even at low speeds and constant torque applications. We offer a full range of motors to meet mine power system requirements for low voltages through to 6.6kV and 11kV designs for maximum life and simplified electrical systems.